Fifa World Cup 2018 Golden Ball prediction: Salah or Hazard to beat Ronaldo, Messi and Neymar? Ronaldo, Messi and Neymar are the usual suspects, but there just could be a surprise winner of the Golden Ball at the Fifa World Cup 2018. 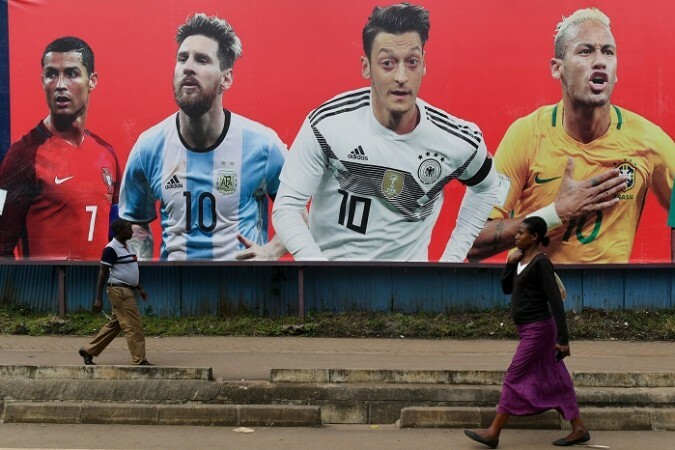 Most, apart from the die-hard Lionel Messi fans, will agree that the Argentinian did not exactly deserve to win the Golden Ball at the 2014 World Cup in Brazil, where his side fell short at the final hurdle, losing to Germany. Even if Argentina had won, Messi did not exactly have the greatest of World Cups. Yes, he scored four goals and had an assist as well, but it was far from the defining performance that a Golden Ball winner should have. 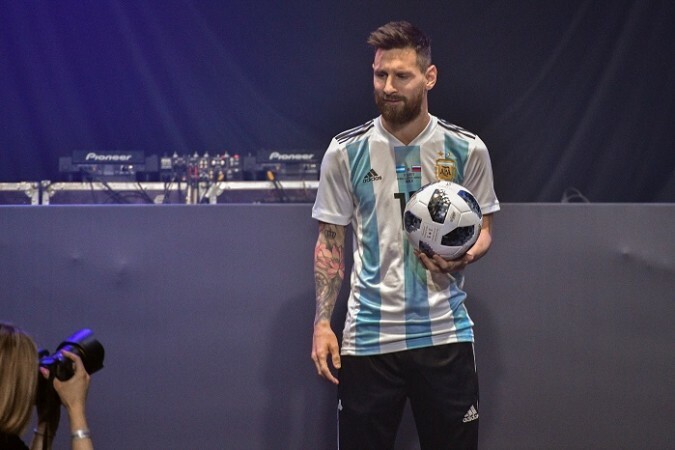 At the Fifa World Cup in 2018, though, the ball is in Messi's court. It is his to win, if he wants to and, who knows, if the stars align, maybe Argentina will finally get to pick up a major piece of international silverware. Messi, though, won't be the only one eyeing that Golden Ball – the trophy handed to the best player at the World Cup – there are plenty of others too, including the Barcelona man's greatest rival Cristiano Ronaldo. Like Messi, Ronaldo hasn't quite been able to stamp his authority on a World Cup, but unlike Messi, he has a major international medal hanging in his silverware collection, after Portugal clinched the Euro 2016 title two years ago in Paris. Then, there is Neymar, the forward, who is actually better for his country than he is for his club. Messi and Ronaldo are known for their exploits in Barcelona and Real Madrid colours, respectively, but Neymar is all about the yellow and blue. The 26-year-old always seems to save his best for Brazil, and, while the pressure won't be as high as the last time around, when the World Cup happened in his own backyard, there will, again, be immense expectations resting on the PSG forward's shoulders. If he decides to embrace it, then Neymar might just be the best bet to take home the Golden Ball trophy home with him. Now that the obvious three contenders are done, what about the others? Who else is capable of being named the best player in the tournament, and does it have to be a forward? How about Mo Salah, who is coming off a ridiculous season with Liverpool and will be Egypt's main man. The only problem with that, though, is the fact that Salah's fitness remains a doubt, and he could miss a couple of group games, which would then make it difficult for him to make a full-on impact at the World Cup. There is Thomas Muller, who always seems to shine at the World Cup. He might not be in the best of forms at the moment, but then you just wouldn't want to rule him out would you, considering he has been the top scorer and second top scorer in the last two tournaments. Maybe it will be someone else from Germany, a Mesut Ozil, who could end up racking the assists and chipping in with a goal or three as well, or a Toni Kroos, whose control from midfield is oh so crucial to the defending champions' fortunes. This could finally be the international tournament where Eden Hazard shows why he should be in the Ballon d'Or conversation more often, leading Belgium into the semifinals, or maybe even the final. Hazard, though, has a world-class teammate to contend with for the Golden Ball in Kevin de Bruyne, who, after a wonderful season with Manchester City, looks primed to turn it on in this World Cup in Russia. 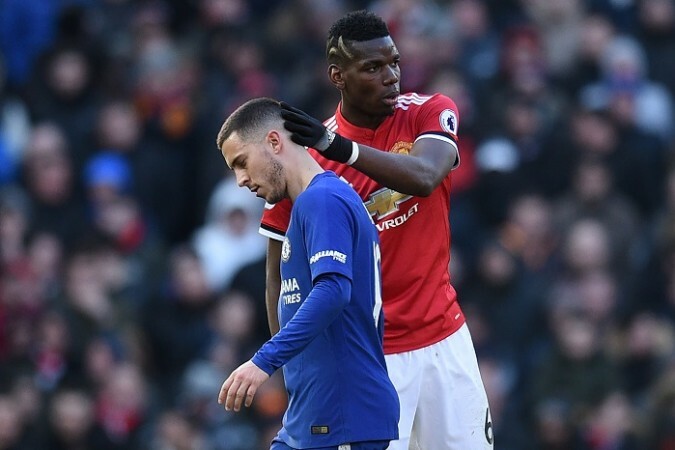 How about Paul Pogba, the mercurial Manchester United midfielder who has the talent to become the best in the world, but is yet to match that with consistency. N'Golo Kante, a couple of seasons ago, won multiple individual awards for his quiet brilliance in midfield, but at a shortish tournament like the World Cup, it might be more difficult for the defensive midfielder to grab the attention. France have more players capable of winning the Golden Ball, chief of them being Antoine Griezmann, who should be the main goalscorer for Didier Deschamps' men. This tournament, though, might be a little too early for teenager Kylian Mbappe, who, no doubt, will go on to play many, many more World Cups and make a lasting impact. In a tournament where the goalscorers are always in focus, you cannot discount Harry Kane of England or Luis Suarez of Uruguay or even Robert Lewandowski and James Rodriguez of Poland and Colombia respectively. Of those, Rodriguez is the one who always seems to turn up for his country, but maybe, just maybe, this might be the World Cup that Kane makes his own. A lot of contenders then, and, undoubtedly, there are a few more looking to make an impact. The beauty of the World Cup is that you know there will be surprises, you just do not know from where it will come. Golden Ball prediction: Messi will have a decent tournament, and there will be a dark horse that also makes an impact, but this will be Neymar's World Cup.